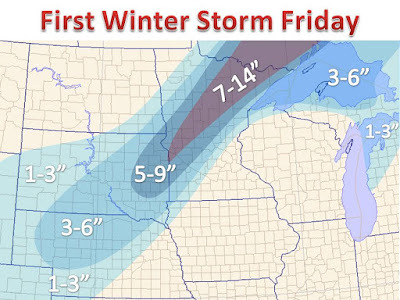 A developing storm system is emerging from the Rocky Mountains and is poised to move towards the Upper Midwest Friday. The area of low pressure will deepen with time and so will the amount of snow on the northwest side of the track. An area of 5-10" is expected through parts of Minnesota, with isolated locations picking up over a foot of snow. Some lake effect snow is expected in parts of Michigan as the cyclone pulls away from the area. 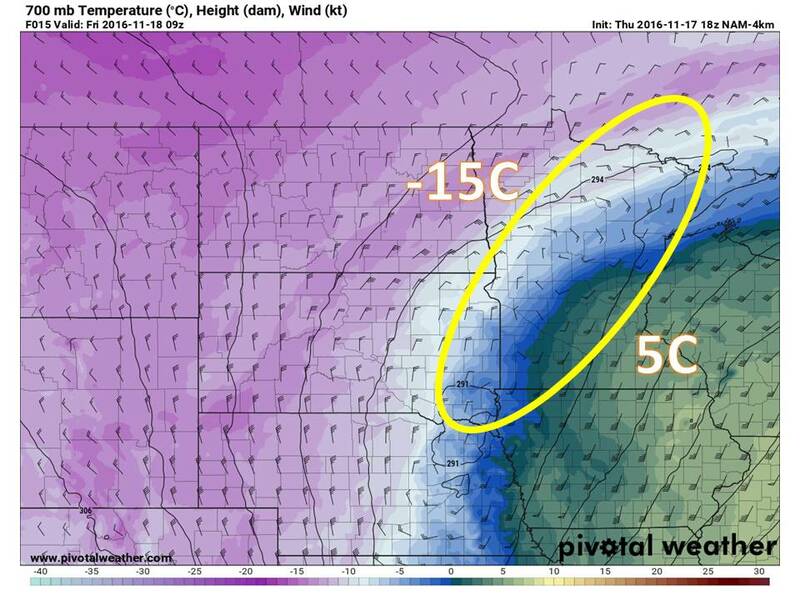 Much of the lift, needed for heavy snow, is thanks to an area of large temperature gradient, see below. At 700mb, temperatures vary almost 40 degrees across the state of Minnesota, allowing for avlarge amount of frontogenesis. 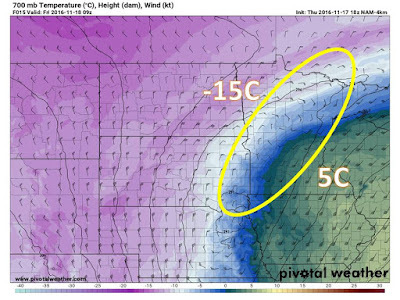 This process of cold air brushing into warm air creates a large scale rolling motion in the atmosphere and aids in favoring upward motion where we expect the heaviest snow.